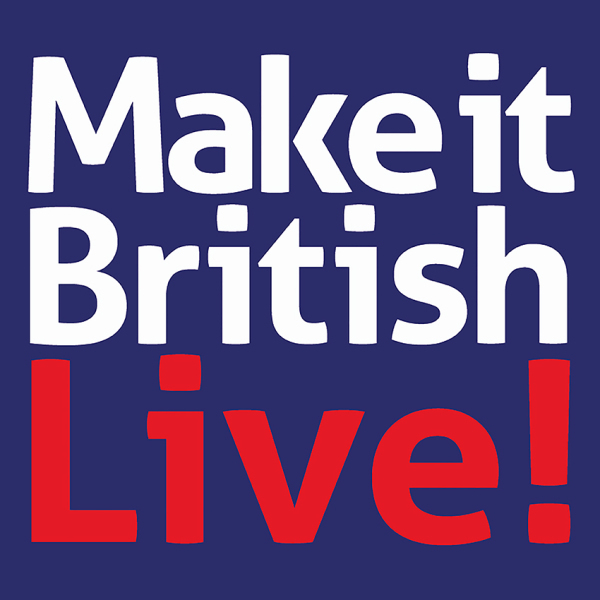 Make it British Live showcases the best of British clothing and textile manufacturing. Come to the Business Design Centre, Islington, London on 29-30 May. See and handle what we make and talk with us about your projects. Keeping the hand feel and flexibility of leather whilst producing vibrant prints has always been a major challenge. Our development project with a UK tannery is now producing some beautiful results with sheepskin hides that have good technical performance. Such hides have good stretch and are highly suitable for a range of fashion applications. We welcome enquiries from brands. 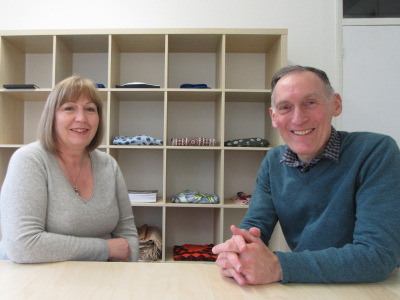 The company started production early in 2016 and Jen joined as our as our first apprentice shortly after (see the news article for September 2016). She successfully completed her apprenticeship in digital print with Leicester College this month. 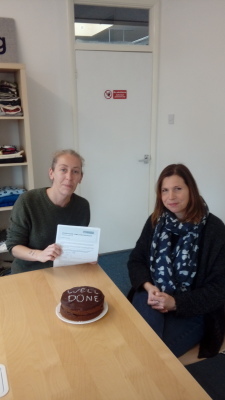 Well done Jen! The single most significant thing that the fashion supply chain can do to improve its environmental impact is to switch to renewable energy. 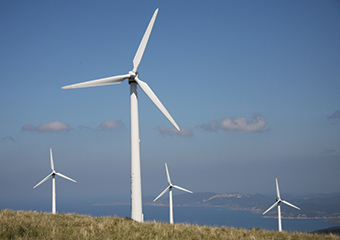 From 1st December, Faering will be 100% powered by renewable energy. 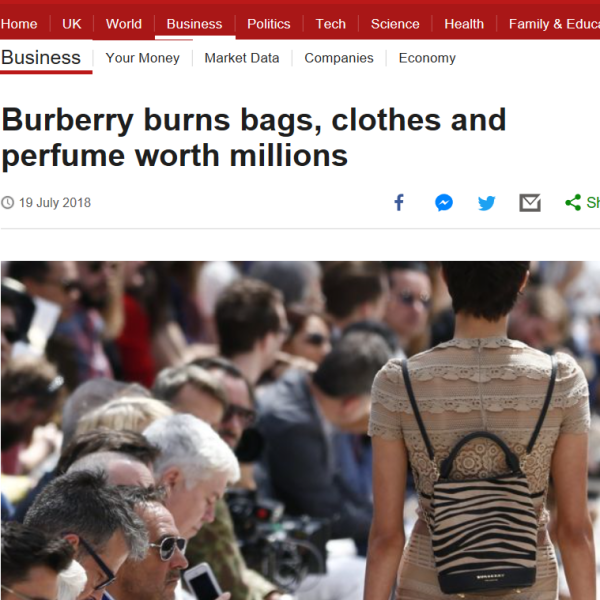 From luxury brands such as Burberry through to high street brands such as H&M, there is increased criticism of practices such as burning or shredding of old stock. 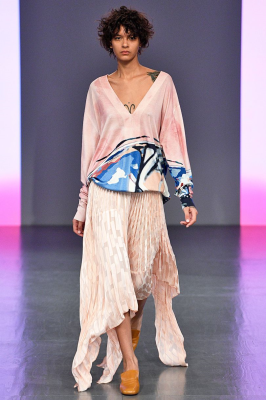 Faering was pleased to be working with Elinor Braennstroem at Helsinki Fashion Week. 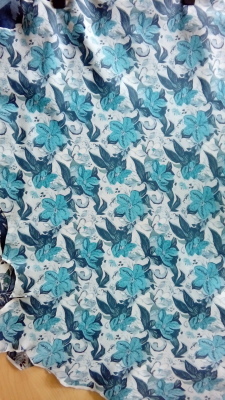 A really challenging print on mohair, which nevertheless created the desired effect for the designer. Make it British Live was just non-stop interest in our prints on knitwear. This one in particular got lots of admiring comments: a retro-style poster landscape on fine merino, knitted by Jack Masters, designed and printed by ourselves. 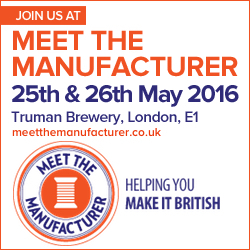 We are exhibiting at Make it British at Truman's Brewery, Brick Lane, London between the 23rd and 24th May, along with many other UK textile, accessory and garment manufacturers. Drop in and say hello. We'd love to find out more about what you are interested in and how we might be able to help. Conventional digital printing of leather usually leaves a plastic feel to the surface, due to the cured ink resins. Our inks are resin-free, but that creates performance challenges. A year ago we launched a development project to digitally print suede and leather with acceptable technical performance whilst keeping the wonderful hand feel of these materials. That project is now complete. So if you design leather products we invite you for discussion on how our innovation can help. 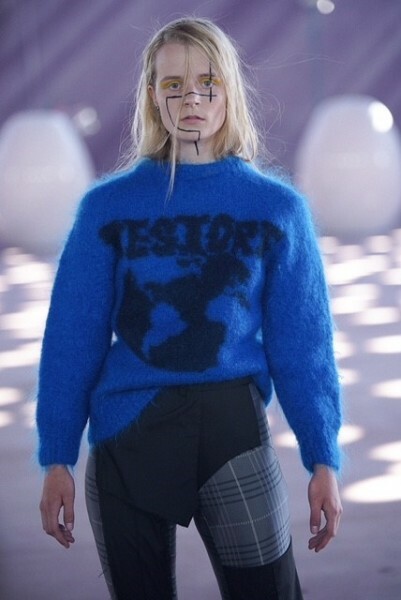 It was great to be involved with a variety of projects for London Fashion Week, including with Faustine Steinmetz and with John Smedley's collaborations with Holly Fulton and with Teatum Jones. We were once again working for a number of designers who showed at London Collections Men. 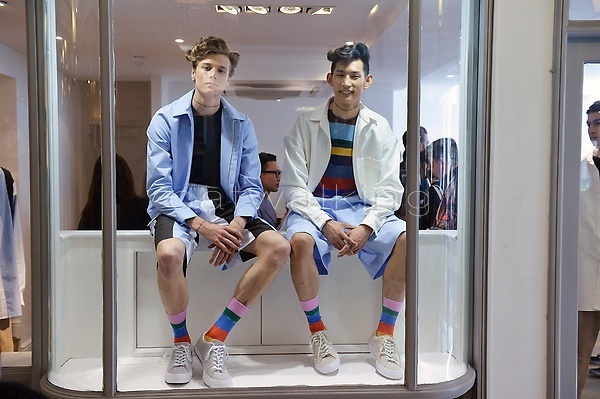 Shown are painterly striped knitwear by Lou Dalton x John Smedley and painterly striped cotton socks by Lou Dalton. Looks great! This was the subject of our presentation at the 6th International Fibre Recycling Symposium. We presented the analysis of our research partner Oakdene Hollins and ourselves on the opportunities for recycling of negative and low value wastes such as sorting wastes, corporate clothing and mattresses. Suede and leather are notoriously difficult to get lasting prints that give good colour definition and do not crack with time. 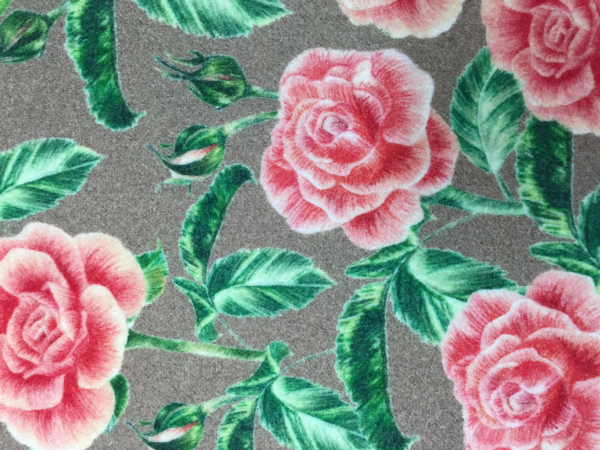 We've achieved excellent results on suede, and are getting some really encouraging feedback from experts in the leather trade who have assessed a wide variety of print approaches. As well as printing materials and products supplied by customers, we now can supply selected wool fabrics, both knitted and woven. A full range is given on the website . In addition we can supply woven cashmere scarves and organic cotton jersey. 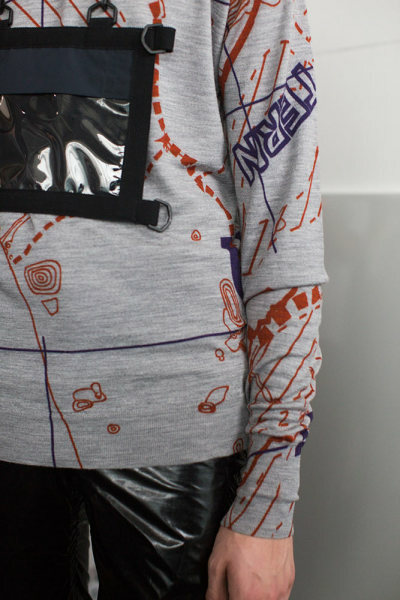 At the Circular Transitions conference in London in late November, Dr Dawn Ellams and Nick Morley presented their digital denim project. 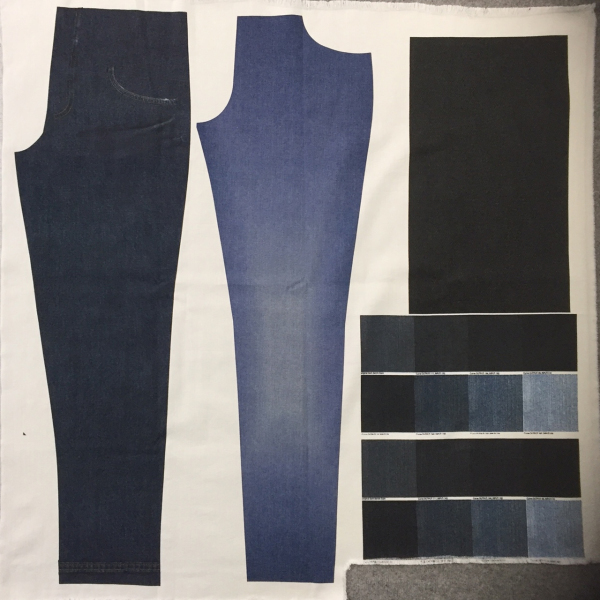 Building on Dawn's doctorate work, the project will develop the second generation of printed denim pieces and garments. 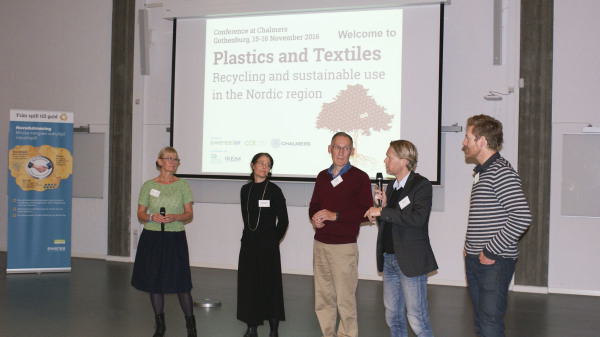 We presented at the Plastics and Textiles recycling conference organised by Swerea IVF in mid November. The challenges and opportunities in textile recycling, and how the global textile recycling industry has become more and less materially circular during its development, were the subjects of Nick Morley's keynote address. 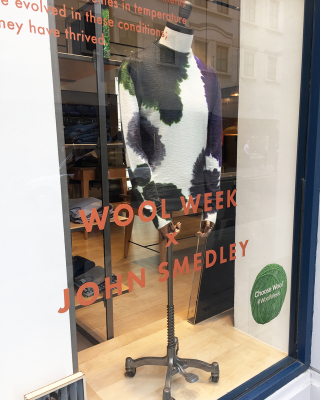 We were pleased to be involved with Wool Week organised by the Campaign for Wool . 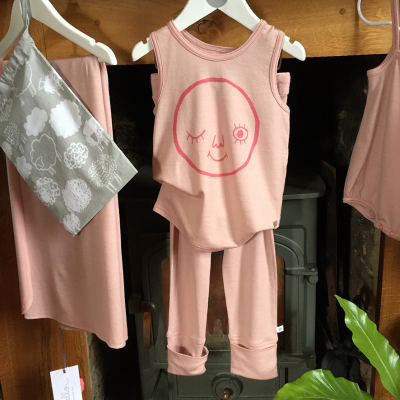 We printed some of the merino childrenswear shown at the Wool BnB in London by Smalls . John Smedley was also making a splash with some of its Lou Dalton x John Smedley collection at its Jermyn Street store. We were invited by Textiles, the quarterly magazine of the Textile Institute to describe the development of digital textile printing. We've written about the opportunities that are emerging, its potential for environmental sustainability, and how we see its likely future. Information on the Textile Institute, the professional body for the textiles industry, and its magazine can be found here . Jennifer has become our first apprentice, studying digital print at Leicester College. 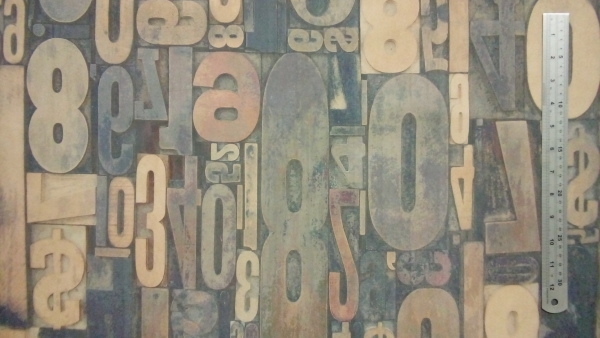 The college is excellently equipped with digital and conventional print equipment, reflecting Leicester's recent history as a centre for printing in the UK, in addition to its well known heritage in knitwear. The power of digital to print different colours and shades can sometimes be intoxicating to designers. The collaboration of Lou Dalton x John Smedley shows how digital printing can be used to produce great effects with a limited colour palette - focusing on the design. 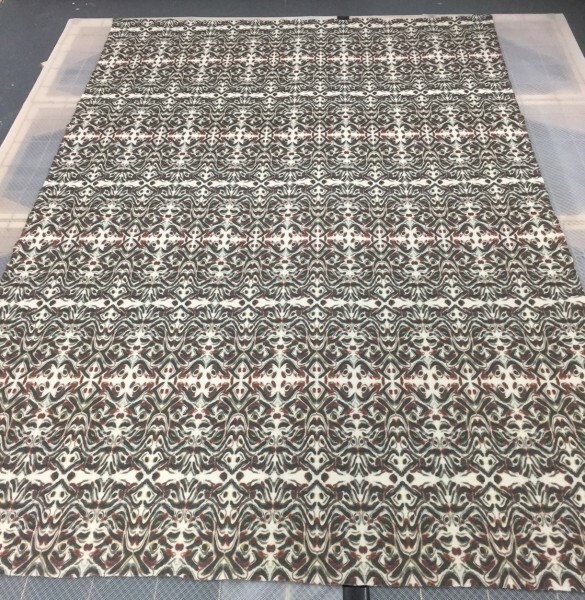 This was a challenging print on a knitwear mix of mohair and silk, but a fantastic end-result. 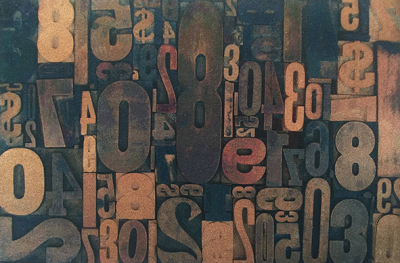 The story of the collaboration on this print has been featured in The Week and Brummel . 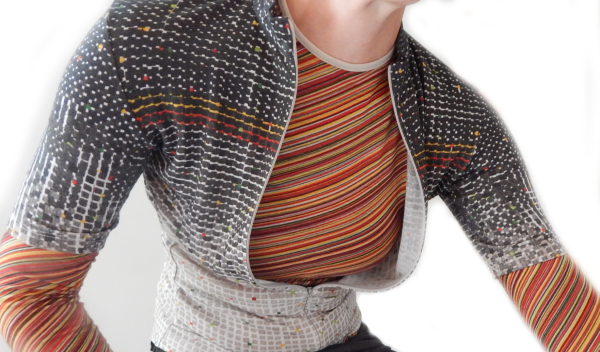 Merino is an increasingly popular natural fibre choice for high performance base layers and tee shirts. 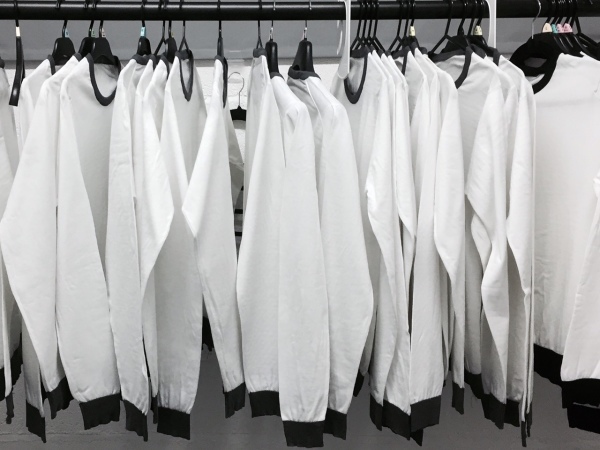 Merino/lyocell (also known by the brand Tencel) blends are of great interest because of the cool touch of the lyocell and the excellent hand feel. Tencel also has great sustainability credentials. The mix of protein-based and cellulosic-based fibres bring challenges to digital printers, particularly in pretreatment, and so we have been optimising our print processes for such blends. The photo shows a 65% wool, 20% lyocell (Tencel), 15% nylon tee shirt printed with a black and white photographic image of Stanage Edge, a well known training ground for UK climbers. The dark gritstone edge has come out particularly well. 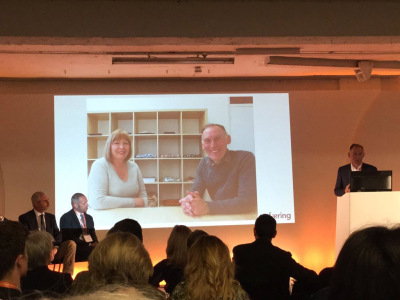 Faering was one of four companies shortlisted for an innovation award at Meet the Manufacturer. We presented "Dealing the Third Dimension" to the conference audience and a panel of judges, highlighting our ability to successfully print on highly textured, fibrous and uneven surfaces. We didn't quite get the vote, but showcasing our capability led to many interesting conversations. Congratulations to the winners, the Sock Mine and their patented innovation in activity footwear. Sarah-May Johnson has joined us to support Jane Walker, our Print Design Manager, in print design and printing operations. 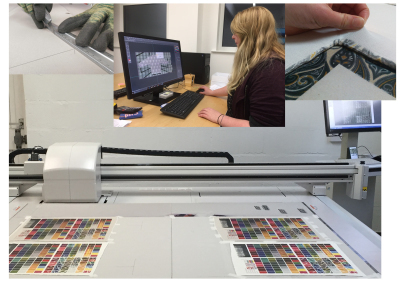 Previously Sarah-May was the digital print technician at De Montfort University. She has an MA in Art & Design Studio Practice, where she specialised in 3-D woven structures, and a BA in Woven Textile Design, both from Loughborough University. 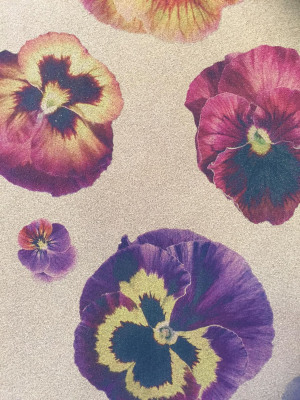 Sarah-May brings to us not only experience in digital printing but also design expertise, particularly in furnishing fabrics, and experience with the main design software packages. 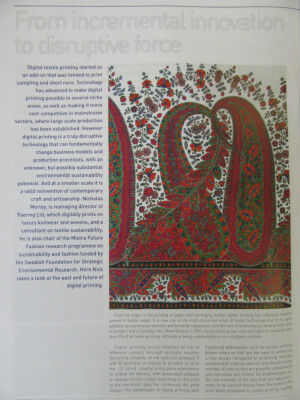 We were invited to contribute an article on environmental sustainability and digital printing to the first issue of a new magazine, Textile Evolution,from MCL Global who are the publishers of Knitting Trade Journal and of Ecotextile News. Nick Morley used his knowledge of sustainable innovation and environmental impacts of textiles to propose a tiered way of looking at this. One first needs to consider the creative potential of digital printing to change consumer attitudes and business models, only then to consider the more direct environmental impacts of the printing process. We were delighted to be asked to print knitwear for a number of new British designers who had shows at London Fashion week in February. These included Claire Barrow x John Smedley Collection, Ashley Williams x John Smedley Collection and Tata Naka (picture: vogue.com). Whilst we have been busy getting our factory fitted out and equipped, we have also been sampling for a number of customers. We are pleased to say that we are now production ready and looking forward to developing the many promising ideas that we have worked on over the past six months. We want to say a big thank you to all the people and companies who have helped us to get to this stage - this includes Simon, Ed and Mark at Shima Seiki Europe, Simon our builder and Tom our electrician, Tom, Chris and John who sorted out the ancillary equipment, and Richard who provided some proper project management.